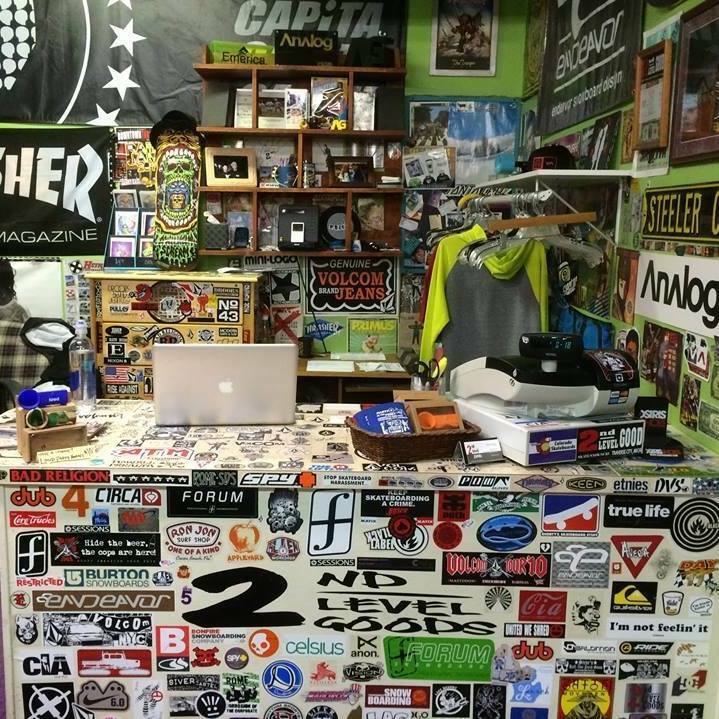 Skateboards, Longboards, Snowboards, Apparel & More we got you covered at 2nd Level Goods. Come into the shop and find everything you need to hit the streets in style. Men's and Women's Skate Clothing and Gear and one hot dude behind the counter. Like we said...everything you need! We have a huge selection of the best skateboards and longboards available in Traverse City. Located in Downtown Traverse City in the old Arcade building at 140 E. Front Street. Check out our Facebook page for updates on store sales. Even though everything you'll find is on sale! Brand new decks, trucks, wheels, bearings, completes, and longboards. Men's skate clothing including: shirts, hats, pants, shorts, hoodies, & shoes. Women's skate clothing including: shirts, shorts, hoodies and more! Voted one of the Top Ten Skate Shops in Michigan, we welcome you to come on down and hangout at the shop and get hooked up with some killer gear. Also, everything in our store is priced better than you can find anywhere else. So much stuff waiting for you to add to your collection. Get your fit this summer at 2nd Level Goods! "This place is great, Shane is super friendly and has an awesome selection of clothes, shoes and gear. After spending a fortune on skate board bearings from another local store I discovered 2nd level and was able to get much better bearings for less than half the cost of the other place. The same goes for everything they sell, better products for less money. I would definitely recommend checking this store out if you haven't already"
"I live 3000 miles away and I love this place. One of the last genuine shops in downtown. I always stop by when I'm in town. Shane picks up what you are putting down." Always has great deals and killer products. Only place I'll shop for my skate and snowboard needs!!! "Great price on unique clothing for all ages. What you can't find on the shelves in NYC or LA you may find on Front Street in Traverse City. MI! A true gem in Northern Michigan." Awesome shop. I head over from Gaylord to get my fix. Great clothes, awesome gear, and epic stickers!